Home The iPhone 4 Has Been Jailbroken...Twice! The iPhone 4 Has Been Jailbroken...Twice! 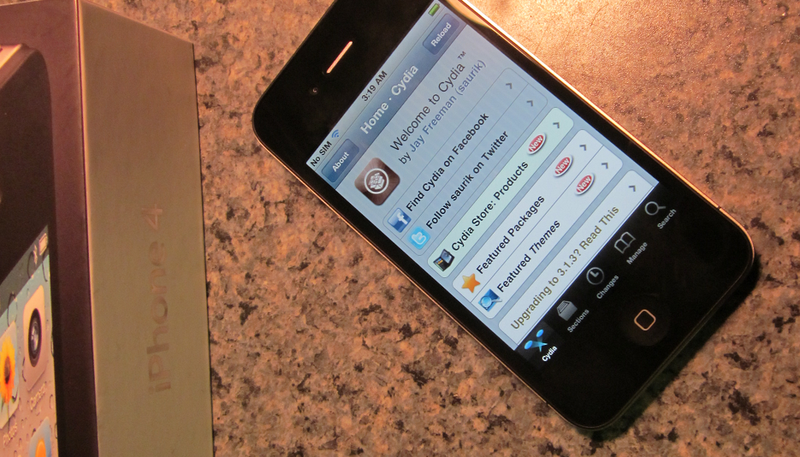 The iPhone 4 has once again been jailbroken, this time by GeoHot. Earlier last week, Comex of the iPhone Dec Team announced that he had jailbroken the Device, but he had not released the jailbreak yet. Later the same week, GeoHot announced he received the iPhone 4 in the Mail, and Jailbroke it upon receiving it. However, he has not released the tool either. The Jailbreak is said to be released after the iOS 4.0.1 or 4.1 update is released to fix the iPhone reception issues, but it seems as though Apple is waiting for the jailbreak to be released before they release the firmware update. It is almost as if Apple and the iPhone Dev Team are at a stalemate in releasing their updates. We will have to wait and see what happens, but it is good news to hear that we definitely have a jailbreak coming, as two people have now hacked it.